Man! I hoped that picture would do it and, what you said is great, but the hard part is trying to explain that to my Brazilian companion. I will keep on trying but it is going to take longer. I looked at one picture before and looked fine even when I zoomed in. I don't know. I have not been to the Campinas temple yet, only 3 zones get to go that are in Campinas, I almost when two times, I was in one zone that would go in august but I was transferred, and I was transfer to the Area of Sousas which is the area of the temple which was 15 minutes walking distance from our house and I was to go the 2nd week there but was transferred again and have been very far away right now 4 hours away from Campinas. Last Sunday we had a baptism of a young man named João Lucas who has been wanted to be baptized for some time but his dad gave permission just last Saturday. He is truly elect and excited and motivated to endure to the end. This is the last week of this transfer, President Tanner is back and we are making good progress with two couples, one Adriano last Wednesday said that he truly wants to be baptized the one thing that we are waiting for it to get him married with I think will happen next transfer, he even went on visits with member helping them with rides and really getting excited to learn and grow in the Gospel. One thing that I have been noticing with my speaking abilities is that the people that want to listen to us, care to learn and are receptive, understand me perfectly but the people that don't really care to listen or keep commitments don't understand me very well, and they don't understand my Brazilian companion. I will work on the picture situation and let you all know whether I have been transferred or not. Well president Tanner is coming back next week, it was a little strange without him but I know that the mission needed the council of Presidente Pizzirani, I learn a lot from him and will use it for the rest of my life. This week went good and bad. We are working with a wonderful part member family. The husband has a desire to be baptized but has a strange concept that he is not even ready to go to church, but we got him to commit to come this week and also to a dedication of the newly built Church building in Botucatu. We are also helping them marry so that he can be baptized. We also are helping a elect lady marry so that she can be baptized too. But the sad part is one lady Andreia I talked about last week she was doing well with the smoking but she didn't read at all has no desire to go to church because she is going to another church, that is the hard part about Brazil almost everyone has a religion and they all think that if a church preaches about Christ it doesn't matter which church you go to, and if a man preaches about Christ they have authority. It is hard but we really find the elect that truly what to follow Christ and be baptized. This last week when we were finding people to teach we ran across an older lady in her 70's that was chopping down a fairly large tree with a machete in such a way that it would have fallen on her if we didn't help. We insisted and we helped, we secured the top of the tree and went to work hacking at it, we eventually succeeded and taught her about the restoration. I will send the picture soon; just hold on a bit more. I can’t believe that Tommie passed away, it seems unreal but we all know where he went and is now and the hope we have. But he will be serving a mission in a different way. I did take the picture, the problem now is finding a place I can send it, but I will do my very best to send it in the next few weeks. Well It difficult to say anything really interesting, the same things occur every day, find, teach, and baptize. We are working with a wonderful lady who is a great friend of a member in Branch (who gives us a lot of oranges because she pick oranges for a living) Andreia, this lady, came to us and said I really want to quit smoking but have never succeeded, we started out slowly but she has done wonders, she started out with 40 cigarettes a day mais ou menos, right now 5 and every day a little less. We also are working with a young man 12 years old who wants to be baptized really bad, he has read the Book of Mormon all of the way through, but the only difficulty is his dad hasn’t given him permission until now and we hope to baptize him this Sunday. I don’t have really crazy stories but I will try, our house is by a lot of trees and a stream, every night we get a lot of mosquitoes, my first nights here my arms were covered, and I had a tough time sleeping, now every night we have the fan on and cover my arms and face in bug stray. There is a song in Portuguese a returned missionary from Recefe made sobre the live of a missionary it is funny because everything he says is really true, in one part he sings about a person asking him to do magic, here in São Manuel we get that a lot, yesterday we had to kids come up to us and say faz magica (do magic) i think they were a little disappointed when we said we didn’t know how. This is what happens here is São Manuel and I will hopefully send the picture soon, but I am doing the best I can with this, finding a nice background you will like. Understanding the way you want me to take it, and the time I have to take it. I have it now and I will send it. Thank you very much Levi for sending the invitation it looks very nice. This week has forever changed my life and even the way I think. On Monday we went to Campinas to receive training and interviews with our new mission Presidente Pizzirani. He is wonderful, not very hard on the rules but very excited and really got me motivated to really work and baptize. He mostly talked about how to really set goals and plans to make our goals a reality. 4 things a goal needs to have, first very specific, second is it measurable, third is it realistic, and forth is it a challenge where you stretch and grow and rely on the Lord for help. He gave an example of these 4 principles with a question a Brazilian had with learning English. The goal specific is to learn in one year, every day study 45 minutes; this is both specific and measurable. every day learn 10 different verbs with is very doable, if you learn 10 verbs in English for one year you will know 3,650 verbs and you can speak any language fluently with that many verbs. He really inspired me to set these kinds of goals and a desire to fulfill them. One last story he told us that change the way I look at preaching the gospel. One Elder in Brazilia, where President Pizzirani served as a mission president, arrived in an area that was the hardest in the mission, the ward didn't help the Bishop didn't care, and that area is very nice and no one had success there for over one year. The first thing that Elder did was pray and made promises with the lord that he will not return to the house until he found one of the elect (a person that is prepared to receive the Gospel). Every day we went out and talked with people, not made contacts with people only for the numbers but the goal to find the elect. every day he found one, every week he started out with 3 investigators coming to church , next week 6, next week 10, 13, 15, 20, everyone in the ward was surprised, and he was baptizing every week. 2, 3, 4, people every week. This got me thinking and changed how I find, teach and feel about this work. This Gospel and Church is the church of Jesus Christ, he is our Savior and redeemer of the world and he guides this work. Joseph Smith really saw Christ and Heavenly Father and restored the fullness of the gospel on the earth again. only by living the gospel and be baptized can we truly have never ending happiness, there is no other way, And if you read the Book of Mormon with a desire above all else to know if it is true, you will receive that answer as it will change your life. This is my testimony that there is no other way, only through the Church of Jesus Christ with authority of God on the earth. Well we have had a few changes in the mission, we have a new mission President, Presidente Pizzirani, President Tanner was not realized but had to go back to the US to have surgery on his leg, and He was hoping to be back by December or January. It is interesting the different between Brazilians and American Presidents. Brazilians are more prone to rules, whereas Americans and Especially President Tanner is a lot more calm leaving it up to the missionaries to choose to be obedient and only the rules that anything that will damage our ability to receive the spirit, the reputation of the Church and as a missionary in Missão Brasil Campinas we should not do. Other things about the mission and Brazil; we receive an allowance like every other mission every 15 days of 90 reais (60-70 dollars) but in some places more expensive 100 reais to 150 reais. Here in São Manuel we get 100 R$, but most of our money goes to transportation on buses. The buses aren’t too expensive, but when you have to travel a lot for meetings and interview it quickly adds up. We get some money for food, but mostly from money members give us to eat. The food here is wonderful, we do eat rice and beans every time we eat with members, but with other foods too, chicken is very popular because it is cheap, but also beef is really good too. We also drink a lot of soda; I love orange Fanta and Guarana, muito bom. And dad we eat a lot of Ice cream too, it is the same thing in the US and very cheap to. This is just a little about the mission in Missão Brasil Campinas for you. I am so excited for Levi and Julie and for the whole family, and those pictures are so wonderful, even the picture Levi kissed Julie. I am so glad that everyone could make it. Don’t worry about me I can feel a little of the love, spirit, and excitement that occurred; way to go. Well I have been transferred again and I am about 4 and a half hours away from Campinas, in a small town São Manuel. My new companion is Elder Coelho da Silva, a brasierio, who is a great missionary. The trip over wasn’t as long as your but 4 hours wasn’t that bad, we slept in the house of the Zone leaders last night to catch the bus to São Manuel at 9a.m. This town is pretty old and old in the mission, right now there is branch here and the capela (chapel) is a house, but we well change that pretty soon. Thank you for the confidence in me, I am always learning to be patient with the process of becoming the best missionary I can be. I have been thinking lately, I haven’t had as much success and other missionary in the field in terms of baptisms. This is a baptizing mission and there are people who really want to be baptised, but were to find them. It is normal to baptize 3, 4, 5 in a week and more in a mouth, but me only two. But these are two, I started really pondering over this, and the scripture in Doctrine and Convents 18 came to mind. “if you should labor all your days in crying repentance unto the children of men and bring just one soul how great should be your Joy, How great shall be your Joy if you can bring many souls unto God” How great shall be my joy with two souls children of heavenly father that are on their way to return to his presence, and After this how much desire I had to really find those people that are ready to receive the gospel, and too to really rely and have trust in the spirit. The thing I have been think has been a little lacking is using the spirit in finding, we have found some elect and it is possible, but now the trick is to develop this. That you for the letter Julie, and Parabens for your casamento por eternidade (marriage for eternity). Welcome to the family again, and I would love to see some picture of your reception and other events. This is the last week of my second transfer here in Missão Brasil Campinas, time is never enough to get things done sometimes. Oh and I have exciting news, we are preparing two teenagers for baptism this Sunday and they are different than any other investigators we have had, they expect everything, read all that we have them read and when we asked them about baptism they were sincerely excited for their baptisms. The process I am going through to become a true missionary is coming along, line upon line, lesson upon lesson, conversation upon conversation. Being like Ammon I have learned does not happen overnight but a process, a process that if build upon principles of the gospel and diligence we will become a powerful, successful, Christlike servant of the lord. But and the same time you can be successful day one, when you have the desire, goals, consistently grow and learn, practice, learn from mistakes and struggles, let the Lord mold you into the instrument he want and needs you to be, align your will with his, and work diligently, we are successful. My Portuguese is becoming better every day, and as I look back at the beginning of this transfer I have progressed a lot. The funny thing is English I harder for me to speak than Portuguese. I say phrases and pronounce words for my Elder Martins my Brazilian companion, but a conversation is difficult. I have seen that as I have worked and only speaking in Portuguese the lord has blessed me with the gift of tongues and has taught me the lessons I needed to learn and still need to learn. PARABENS MEU IRMÃO E CUNHADA AMADOS. It is so exciting to see (hear) the joy, love, challenges, success, of your engagement and marriage. This week has been great! We had the baptism of Adriano and he is truly elect, he was prepare to reacive and live the gospel with are the people that really desire to be baptised. We found another elect family that came and watched Adriano be baptised, and they are learning, and living the gospel. We taught the word of Wisdom yesterday and even though they have some problems with café, fumo (smoking) they sincerely accepted to live this mandamento. The Mission is exciting and what we do helps share the gospel. My companion is a little energetic and gets excited and works hard with that, and the people we teach feel this excitement and have desire to do but a little lack of the rules of the mission. This is the balance I am trying to find and Improve, to have that excitement, fun, and being friendly but also be 100% obedient, humble, kind, loving and powerful when teaching. The best example of this is Joseph Smith, in the film “Joseph Smith, The prophet of the Restoration”, is perfect to explain this. He had the power and authority and power of a prophet but still played with the kids, had that fun with his fellow brothers, lived with that Christ like optimism and excitement, and joy of the gospel. Many missionaries are fun to be around, are excited, but have a distaste for the rules, and there are missionaries that are completely serious who work hard but don’t make those friendships and the atmospheres of trust that are so very important with working with the members and helping people be baptised. Many people only think you can be one or the other, but there is a balance that is necessary to find. Like all thing I am improving on this. Teaching with love power, conviction, and excitement is also so thing I am working on too. But one thing that I am learning with Elder Martins is that rules are important and are here for a reason, Missionaries that don’t learn to not only do them, but love them they will not love to keep the commandments when they return home, all things, I am learning, has a time a place, but we have to find those times place and method to use them. It is so wonderful and excited to see many people in the stake serve missions, this is the joy the gospel brings. If anyone would like to write me and has a Washington Quarter to please send it with the letter. A brother here has many US Quarter and need this one to complete the collection. Oi Familia tudo bem? Como vocês estão. I sound like you had a wonderful time I hope Acea, sometimes things aren’t perfect, but we can still find that joy and learn from things. Things are always good If we want them to be, happiness and joy is a choice we make not is circumstances we find ourselves in. for my I would much rather have that hope and fun rather than looking for things we don’t like. The work is moving forward here in Itatiba. This city is the city of hills, and hills, and a small hill in the near distance, but one thing is my strength is increasing, and some times and the rate of my ability to speak Portuguese. I also have really exciting news, we are helping another wonderful brother enter the waters of baptism on Saturday night. It is exciting because he can now progress, sentir este felicidade and receber the holy ghost sempre (always). We have found people, taught people, brought people to church, but only those who are truly prepared and elect have the desire to know for themselves if these things are true and a desire to be baptised. We haven’t had a lot of baptisms but I know that these two people are firm and truly have a desire to live the gospel and that brings me much joy. My Mission life in the first few months really is the ground I am building my mission off of, every day I truly realize that I don’t do things that great, I have many weaknesses, and I have my own challenges as well. With teaching, every time I teach I realize I can do better and need to do better, some time I feel like I haven’t learn anything. But the one thing that is hard is teaching in Portuguese and no one understands, they look at you funny and my companion then re-explains everything I just said. But I am grateful for this; to break me down so that I can be molded into the instrument the Lord can then thrash the wheat of the harvest. I learn and improve from these things; some Elders I see don’t learn from their weaknesses and never improve. I know in whom I can really trust, that he has strengthened me and continues to strengthen me and is slowly but surely making my weaknesses become strong. One thing I have been really focusing on is teaching with much more excitement, power and effective ness with questions, scriptures and love to. One great example I learn from a lot is the gospel principles teaches in the Ward. She is Italian and shows that excitement that makes me feel like that we can baptize hundreds. This is what I am working on, and I can see how much I have improved in just a few months, this is exciting and oh if I can just show you these people and where they were and where they are going then people will realize how great this work is. That is going to be a wonderful youth conference that will change lives, when I went it was a little different with different challenges and joys and helped me become who I am today. It is wonderful to learn so much from these activities that like a mission jump start your progression as we learn, ponder, apply and continue to live. I have been thinking a lot this last week about the mission, missionaries and thoughts that can be on missions, how is Nathan doing, is he preparing, is he excited and desirous to go, Can I get his address so I can write him, I would really appreciate that? Also how is Ben doing; preparing? The mission is a wonderful place where miracles happen all the time, where you grow, learn, fail, and succeed. I have been thinking about desire a lot this past week, where my desires were, where I was lacking, what I was succeeding in. The mission is tough at times, when you walk all day, in the heat of the sun, don’t find people to teach that day, haven’t eaten in a while, your investigators are not progressing, what do you do next? When you get on your mission, that flame of excitement, energy, enthusiasm, willingness to do whatever it takes dies if you do not feed that fire. It is fed with effective study, the desire to work, the faith to find, the hope that your investigators will have that desire to progress and live the commandments. This mission is not about us, but is the work of Jesus Christ and He guides this work. As we do all that we can to help people change their lives, not to just to be another baptism for all to see that we are successful, but to help them fulfill their divine potential, you can see in them and how happy they can be. This needs to be your focus and purpose for working to keep that fire, excitement, and energy growing stronger even than when it began. Just two more weeks and you Levi and Julie will be married in the temple; I am so happy for you and be sure to continue to send pictures. And Karýl you will have a birthday, but your still young and full of energy just like Dad. This is my testimony of the mission Jesus Cristo é nosso Salvador e ele vai nos ajudar neste trabalho. Joseph Smith foi um profeta de Deus. Deus se preparar um jeto para comprir todos mandamentos e ordens, todos as coias são possível com O Senhor. I don’t have much time, but this past week has been a little crazy with transfers. Right now I am in a new area in Itatiba about 40 south of Campinas. At 10:30pm on Thursday Elder Facer and I got a phone call from our Zone Leaders and they told me that I was being transferred in an emergency transfer the next day. When the call comes we go and do in faith. Don’t worry nothing bad happened but I guess the President is preparing to close Sousas due to lack of missionaries and the work in that area is really weak and needs a period of preparation. My new companion is Elder Martins a Brazilian who was also trained be my trainer Elder Bennett. He is a little lacks on the rules but gets excited and works well with people. I will tell you what has occurred in the mission, which is sad and dishearten. Recently, missionaries have been leaving the mission field because they simply do not want to be here. This happen to a great dear friend of mine who just gave up. 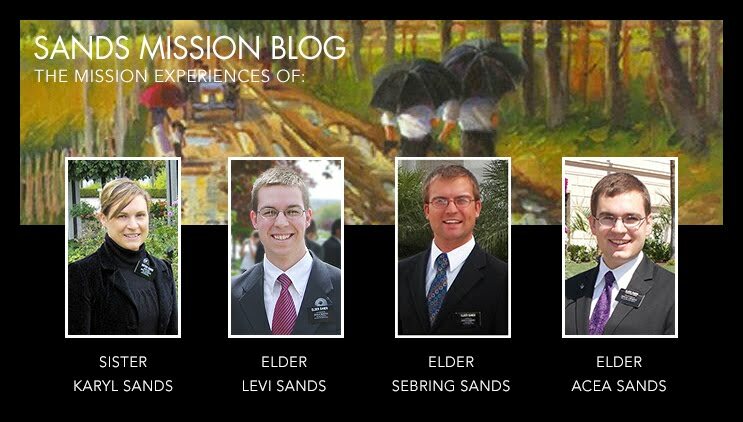 It is sad because they had so much potential to do good, even being an example to me before the mission field, but now, did not keep his focus on the mission, on helping other people and serving the Lord. And one other thing, on my mission I have witnessed this; it is far easier to serve a mission, find people, teach and baptize, but far harder to be a missionary, which happens by simply following the little rules, becoming like Christ a little at a time. This helps us so much on the mission, and after the mission for the rest of our lives. Those that don’t really live the gospel after the mission didn’t really become a missionary on their mission. Well transfers came and Elder Bennett and I were on the edge of are seats. The call came and Elder Bennett is to remain in Matão and train a new missionary and I am transferred. We were both surprised but when the call comes, we do in faith. I had no clue who my companion was to be or which area but I packed my bags and went to Campinas to be transferred. Transfers happen yesterday and my new companion is Elder Facer and he has been in the field for 1 year and 8 months, and has just two transfers left. My new area is on Sousas Campinas which is really neat because we are in the same area as the temple and is just 15 min away on foot. Elder Facer is a great companion and reminds me little bit of Jeffery Winkfield. Sousas is a little different area and has its own difficulty and challenges. In Matão we were averaging about 40 lessons a week 15-20 with a member, 10 investigators at church per week, etc. Here the atmosphere is different the people are not as willing to hear the gospel, only a few go to church right now, but we lift were we stand. I know that there are people out there that are ready to hear the gospel; we just have to have the faith to find them. In just 6 week I have learned alot about using every resource that you can use, and members are essential. gaining confidence and helping them have the vision that this are can and will be growing and many people entering the waters of baptism and remain active. There is the feeling of hopelessness in the air but there is always hope to find, teach , baptize and grow. the problem is some times 6 weeks is not very much time to get the job done, but we work are very hardest. As a missionary we can direct affect our success first with contacts, 210 a week, and with this we will find people to teach, finding people that will go to church and be baptized and we show the lord we are willing to do all that we can do. So far my Portuguese is getting a lot better, when you only speak Portuguese you learn very fast, But at times people don´t understand me, but you can never give up and continue making mistakes and learning from them. I can teach all lesson with commandments,simply, and that is the goal to teach people simply so they understand and do. But teaching is different in the mission, we give the first lesson in 20-30 mins, second visit follow up, we then by then know there needs so far and ether focus on commandments or the other lesson. the real success come from them reading and praying to receive an answer and live all commandments and going to church. my stuff is holding up and working great, and I feel that I brought all the thing I needed to bring here. I have not given any talks in church yet, I know that will change soon. The only thing I ask is to send a real copy of Levi's and Julie's wedding announcement in the mail, it only takes 3 stamps, por favor. I will send the picture next week. This past week has been filled with wonderful things. We are teaching a wonderful couple who are elato (elect) they really feel the need to change to live the gospel and to read the Book of Mormon and to pray to see if it is true. We had a wonderful noite familiar (family home Evening with them, Maria and Edvaldo, they made wonderful friends with a family in the Ala (ward) and were spiritually uplifted. We are planning their baptisms for this Sunday, We just need to follow up and give them and Interview. Sometimes it is hard to find people home and to stop by and follow up with people every day, but as long as we try are hardest to do, improve, to find and teach, obey the commandments and All missionary rules, We are and will be successful missionaries. This past Friday we had a multi-Zone Conference in Campinas, with Elder Godoy, one of the Area Seventy in Brazil. I learned a lot of things of what I could understand; we are here in Brazil on our missions to save souls by finding teaching effectively, and baptizing them. This is no easy take at times and we practiced how to invite people to commit to do something more effectively. We are to Invite them to make and keep a commitment (read and pray about the Book of Mormon, Go to Church) teach them the Doctrine, testify, promise blessing and follow up. We are here to build the Kingdom in our areas and wars with priesthood, tithing, etc. and we are here to save our own souls to progress, keep all commandments, and grow and to keep growing and progressing when we get back from our missions. Have a great week, Tchau tchau. Thank you for that wonderful email Julie, I know that this is truly exciting. And I am not worried about our brotherly bond, you are a lot more pretty then I am. This is the last week; hopefully I will be able to send some pictures next week in the field. My favorite scripture is 1 Nefí 3:7, now that I am here this declaration of faith and trust in the lord has been my goal, to be the instrument the Lord wants me to be and to not be limited to sharing the gospel through our limited knowledge but to rely on the spirit. The language is coming faster and I am able to teach simply with lots of help from the spirit, and I fell that I am really learning how to teach effectively, and the language comes. The gift of tongues is my friend and a remarkable gift from our Heavenly Father because he truly wants this missionary work to succeed. On Friday we were able to go again out to share the gospel with the Brazilian people, but this time in the downtown São Paulo in the financial center for South America. After we pleaded for help from the lord Elder Meredith and myself went about sharing the gospel. We talk to an older lady who was really excited to hear that the Book of Mormon is another testament of Jesus Christ. Also the Lord led us to a Bishop and we were able to talk with many people in his office and give two Books of Mormon to great people. The spirit does truly lead us even though we don´t know some times that we actual were and are. I hope everything goes well for the wedding and I Hope everything is Ok with Karyl I keep all of you in my prayers. Thank you Julie for taking care of my brother, you can have him all to yourself and maybe the Lord. And for those who don´t know and are wondering CTM is Centro de treinamento missionário de Sáo Paulo, MTC but in Portuguese. Sorry Mom but happy mother’s day. I didn’t even know until someone happened to talk about it on that Sunday, I am now repenting. My P-day has been changed to Tuesday and I still email around 13:00 São Paulo time which is 4 hours. I would also very much like to what Levi did to propose to Julie. Also if it is alright can I get an email from Julie, I have to make sure she isn’t talking a too awful chance on Levi. I am probably not the first one to say this, but welcome to the family, Irmã Julie. Brazil is a wonderful place, I was conversing with a brasiliero about brazil and one thing I have seen is that the church is strong, the members are have built their foundations on Christ, I have learned so much from our Brazilian roommate in just 3 weeks. we go to the temple we get to see a portion of São Paulo, the things I notice is that they only have small carros, they drive crazy, mostly the motorcyclists, and If you look down when crossing any street, you will get run over. Not to worry if you stay vigilant you will make it. Many people come and go in the CTM unless you are learning Portuguese, I feel the second biggest hurtle to jump is finding the needs of investigators, teaching it to them with to spirit, and ensuring that there conversion is in the Bok of Mormon. The language is coming better that I thought, we are able to teach, expound a little and teach with the spirit, it is just hard sometimes really being in sync with my companion, not because of lack of effort, but something that is new to both of us. We sat down and figured out what we can do to teach better, and we both knew that we really need to listen to the spirit, to each other, and also to the investor. It is wonderful to see how when I don’t know what to say next, Elder Meredith knows exactly what to say. We also were taking about how we do ok to good in lesson, but how can we be better not settling for less is the key. This Gospel is true and the Work is guided by Christ himself, one quote I heard is that Christ wants you to succeed. He is helping me; I could not do this work without him or the spirit. Talk to you next week and sorry about the spelling I will try and do better next week. Love you Mom and family, welcome to the family again Julie. tchau. Thank you so much for the emails, I figured that because of the time difference I didn’t get it time. That is so exciting E estou muito animado that Levi is engaged. It feels as if it is a pretty big prank, but I am very excited to hear to good news. All I ask is to send a picture to my mission Home, because I will get it in about 6 weeks. The CTM is different than Provo. First of all, this CTM is a fortress with 20ft high wall, razor wire and spikes on the walls, with motion detectors, and a Israeli security firm that protects us. Don’t worry the Brazilian people are very nice, e muito Bom. The food is much better, different and much healthier. The teaching is different, with all native teachers. We learn grammar and then we apply everything in teaching and practicing. TE is wonderful because we get real advice on things we need to improve. This last Friday we went out proselyting in Casa Verde. It was difficult at first to speak to the brasileiros, but I could feel the Lord was helping me speak to the people with the spirit. We talked to several people that were Catholic and didn’t want anything to do with us but still were very friendly. Many people in Brazil say they have Books of Mormon, most of our time we committed people to read it, pray about it, and go to church that Sunday. We did talk to a few people and I felt the Book of Mormon in some way will change their lives. It is truly wonderful to share the truth of the gospel to the people of Brazil. The language is coming faster than I thought possible, the gift of tongues is real and we couldn’t do this work without it. The cool thing is the help the Brazilians give you, and we in turn teach them a little bit of Ingles. This gospel is wonderful and I feel the blessings and I know you guys are too. Eu amo todas pessoas em Brasil e voces. Até Logo tchau tchau. Brazil is a wonderful, hot and rainy country. It is great to be here studying the gospel in Portuguese and learning to speak with the native speakers. We are getting to know people in Portuguese before we teach a lesson, is it difficult, but it is easier when you just say the language from the verbs and words you know. This Friday we are going out into the neighborhood around the CTM and handing out some os Livros de Mormon. It is getting us ready to work and get used to the language; I hope they will understand the importance of the Book of Mormon and the Gospel we are there to share with them. This past week I have done the most learning so far. Irmão Zamboi, one of my teachers, has been teaching us about learning, growing, changing yourself inside rather than blaming others for not learning, and to apply the principles of the gospel in your life. Every day I learn, and it is great to set goals for learning and to meet them, showing the lord you want to learn and he then helps you do that. We are able to go out on P-day around the neighborhood and go to shops, mail letters and just talk to the people. The Brazilian people are so nice that they do like to have fun and help you if you just try and open your mouth. The Food is always wonderful, what I have discovered is that some foods taste a little weird by itself but when you mix it with rice, it is fantastic. I also love this fruit call goiaba which the closest taste it compares to is a current berry but has a lime green skin and dark red on the inside, Levi might have had some. The candy and chocolate is good, but when you mention peanut butter all of the Brazilians go crazy. This church is true and that Joseph Smith was called to be a prophet to translate the Book of Mormon, We need to read it and apply the principles in it in our lives, and we need to develop a testimony of it and a love for it. I will assume you still love me, I didn’t get your letter this week, I write at 1:00 my time which is 4 hours ahead of Washington time. Are you getting my Emails? I am collecting pictures to send and even some great landscapes for mom. This week wasn’t very exciting, we were all sick! This week I go to Bahía Blanca and then we have interviews too. But even though we don’t have much time this week we have some amazing investigators! I didn’t send a good recording but I wasn’t feeling well today. I’ve been fighting my health. It would seem that we we’re able to move out finally. So we’re going to have two baptisms this week. Two ladies are ready and so we’re going to go on with it. I have to go, have a great week. Well still we’re very complicated with the house it’s such a pain! I’m can’t stand missionaries that break EVERYTHING! I did get transferred but only to the other side of the area so I lose all of my investigators but I get all of the investigators of the other Elders that live with us. I’m now with Elder Palma from Lima Peru. So I don’t really have much time at the President sent a huge letter so I ran out of time but I love you all and have a great week! chau! This week was awesome and yet still really messed up. First the messed up part. We still aren’t out of this apartment and it is just a black hole when it comes to time. Thankfully we had more time than last week but still we lost a lot of hours to the house problems. We still have a lot to do but we should be moving Wednesday if all goes according to plan. So as for the awesome part Marisa got Baptized! She’s so amazing and very humble and sensitive to the spirit. She said that when we put our hands on her head she felt like a fire! The spirit is sometimes something instant in terms of the way that we feel it. So now we have some more investigators that are progressing. We have this Catholic lady Marta that is way prepared but her husband has dementia so it makes it a little difficult for her to come to things, but she was really impressed with how one member acted in the hospital as a volunteer and she was so impacted that she let us in and wanted to know what was it about that woman that made her that way. She loved the restauración as we shared it with her. She later told us about how she was having a terrible time after we had been by and she knew that it was Satan that didn’t want her to accept this! There’s also another kid named Damian that we may be able to baptize this week because he’s been going for a year and a half and he never got baptized but now that he’s moved from Buenos Aires to here, it seems as though he wants to get baptized. We’ll find out soon on that! The Lord is very merciful! Not much that happened this week as my comp and I we’re both sick on and off. We found out that something got in the water on this side of the city and has been affecting a ton of people, but we’re starting to get over it. Officially we started to fix the house. Today was crazy. I had to pack up again and we’re playing musical chairs with the rooms in the house. Hopefully it’ll be done soon, it’s really a huge problem because it all takes so much time. We do at least have some options for a house! We still have to do a little bit of investigating in that so we’ll keep praying. As for investigators, we do have the one lady that I talked about. She went to church yesterday with her family! She’s so ready to get baptized! This week wasn’t one that i would like to repeat. I got really sick on Wednesday night and after that and Thursday it didn’t really let up until late. On Friday we had to stay in the house for several hours while some people came in and fixed all of the glass in the house. It’s been way complicated and we still haven’t really started anything. We did however have a miracle happen the son of the member who is helping us fix up the house, his wife wants to take the lessons and we’ve gone by to start that on Saturday. Today we go back again. We don’t know if they came to church yesterday because they said that they might go to a different ward. That’s pretty much it for this week! Hopefully this week will be a bit more routine in that we get to teach a lot more! Have a great week Chau! Wow, an exhausting week! We covered three areas pretty much all week long, it was crazy! I was with another Elder all week long because Elder Carter, an ex comp of mine, was sick and since my comp can’t walk, we we’re on "Divisions" all week which allowed us to more or less keep on working as "normal." Anyway after we did a whole bunch of walking and trying to work three areas which literally take up a third of the city, we are both very tired to say the least. There is an Elder that had to go to Bahía Blanca so that when the next available plane that goes to the states comes, he can get there easier as he has to go back for an operation. He was with us until we went with Elder Sweany who is Elder Carter’s comp and we dropped him off with Elder Carter once he was feeling better. After that we were once again not able to do much because Elder Risenhoover can’t really walk at all. All of the members were out of town or with family because New Year’s here is kind of like the biggest holiday that they have all year. And with all that, here is the big news, I got called on Thursday night and was told that I’m getting transferred in 3 hours to Mar Del Plata to replace the Elder that has to go to the states. There wasn’t any room on the buses until Sunday night so I was able to stay and say a goodbye to everyone in the ward yesterday! I’m going to miss Villa Floresta a lot. The members have been really incredible. They helped us out a ton and even though we didn’t find anyone completely prepared to accept the gospel, I know that we did help a lot of people there and that they are in a position to listen more to the spirit because we did our best and some day they will get baptized and others are now returning to activity and getting the blessings of the gospel more completely in their lives. Well, I had more to say than I thought I would. Have a great week and thanks for everything!